As mass-produced fashion continues to affect the innovative designers at the bottom of the fashion food chain, standardisation of style becomes ever more present. It’s how it goes. And this trend has influenced Edward Crutchley. Opposing it, that is. He focuses energy into traditional, textile practices to ensure high-quality outcomes that give a glimpse into what contemporary, luxury fashion will look like. 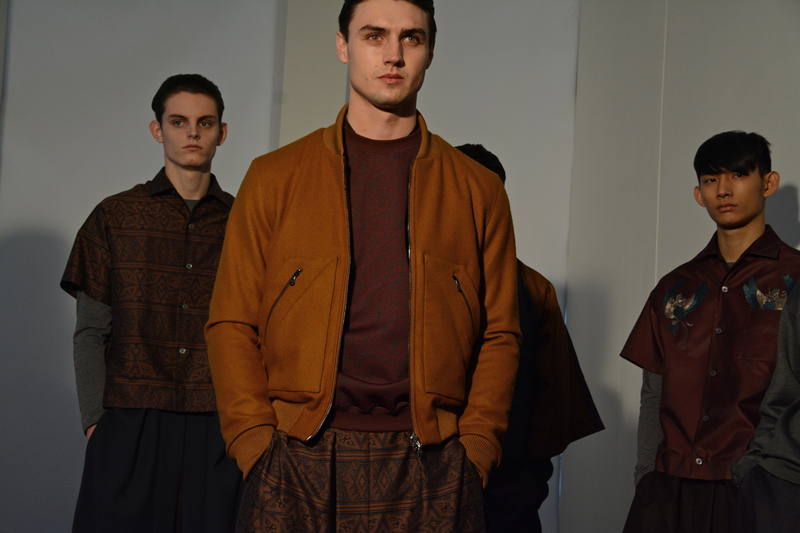 An amalgamation between established, sportswear silhouettes and signifiers attributed to the larger fashion houses. Which, is expected, considering his previous consultancy experience at Louis Vuitton Homme. 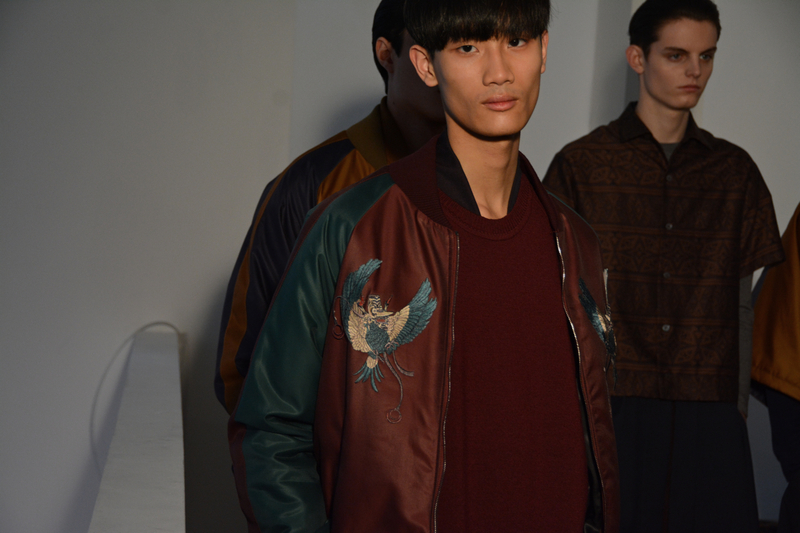 Silk bombers are blocked with strong hues and detailed with embroidered motifs. Punctuated finely with casual, woollen jerseys. The bowling shirt is of particular interest: the crisp cotton poplin highlights its shape. With one style embroidered similarly to the bombers. Consistency was key. Crutchley’s collection shows, without a doubt, his mastery, awareness and ability to manipulate certain design intricacies to produce high-end, commercial product.